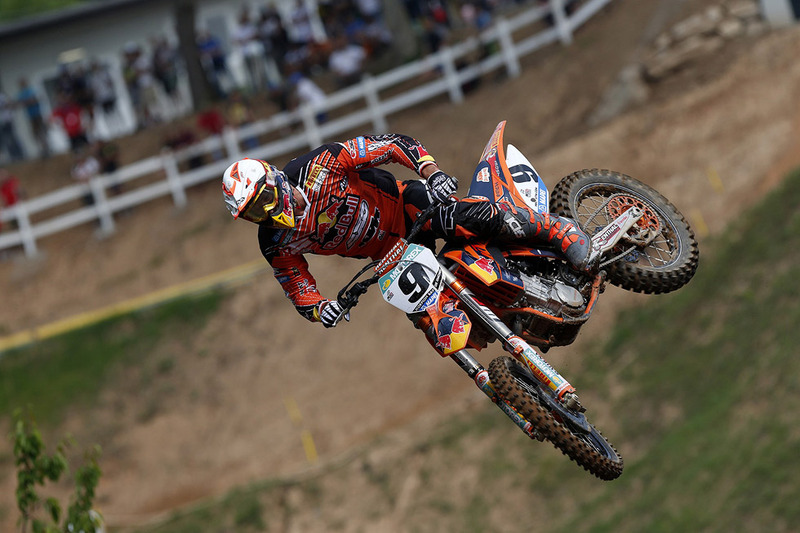 Red Bull KTM Factory Racing came away from the MX GP of Italy with Jeffrey Herlings grabbing the MX2 GP and Ken de Dycker and Tony Cairoli finishing 2-3 in MX 1. 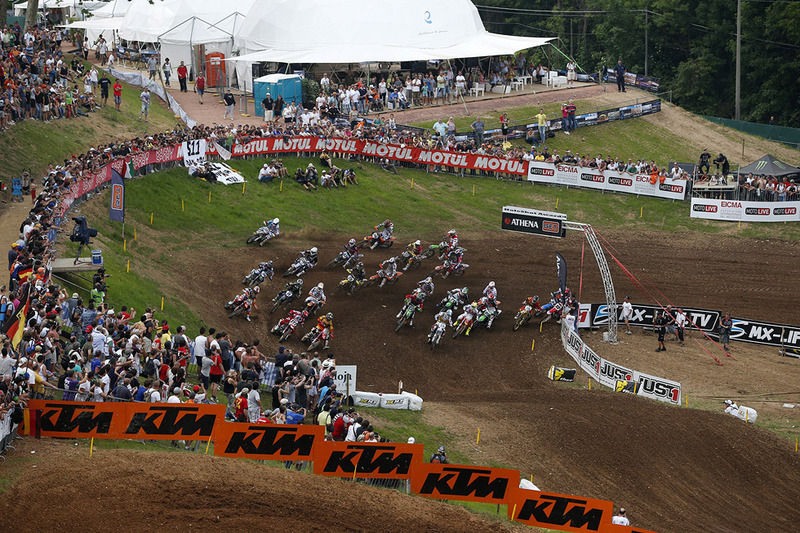 Both Cairoli and Herlings leave the historic Maggiora circuit retaining the red plates as their respective championship leaders. 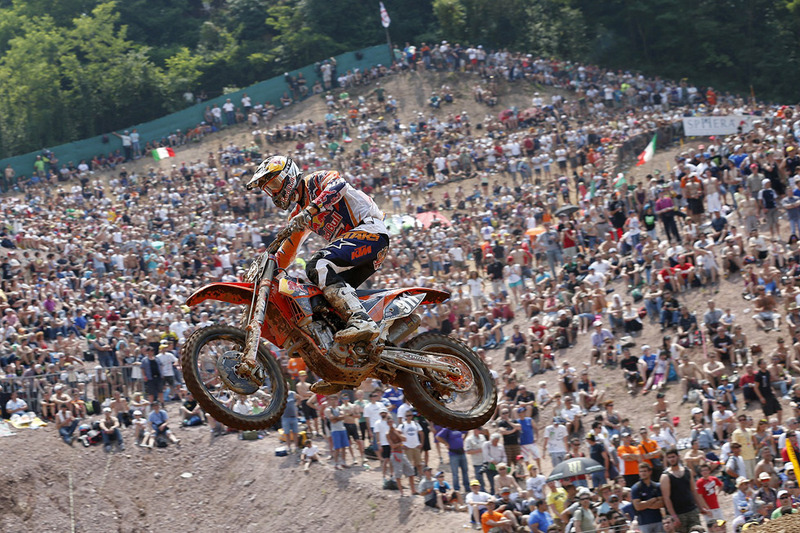 Herlings retained his perfect scorecard for the season while Cairoli’s third place finish blemished his record slightly. So far he has not finished lower than second all season. The six-times World Champion did make a valiant charge in the final two laps of his second moto to close in on the leader Gautier Paulin. But despite being urged on by a hugely vocal Italian crowd, he wasn’t able to make it stick. 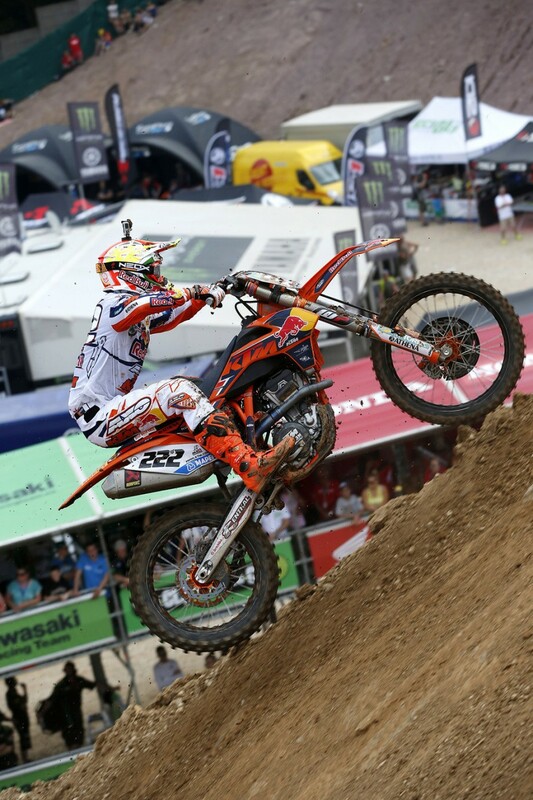 After a fourth place in the opening moto following two small offs, Cairoli would have finished overall second to Paulin if he had taken the second moto victory. 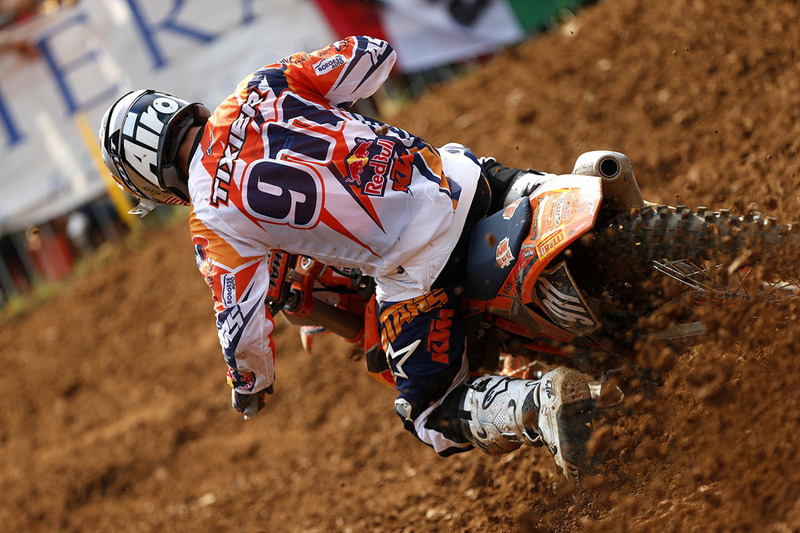 He eventually settled for a 4-2 result for overall third, leaving second overall to his KTM factory teammate and friend de Dycker of Belgium. For de Dycker the race was a confidence booster and he said it was great to be back on the podium after a period where he had been having problems with back pain. “I needed that to be mentally strong again,” he said and added that he had enjoyed riding on the circuit with the support of the big crowd of Italian fans. 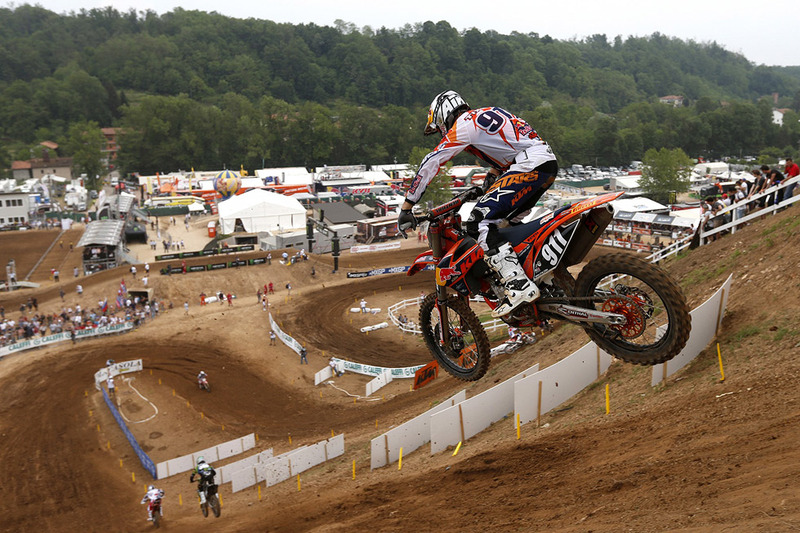 Meanwhile in MX2, Herlings did the business on the slick, steep and very technical Italian track. 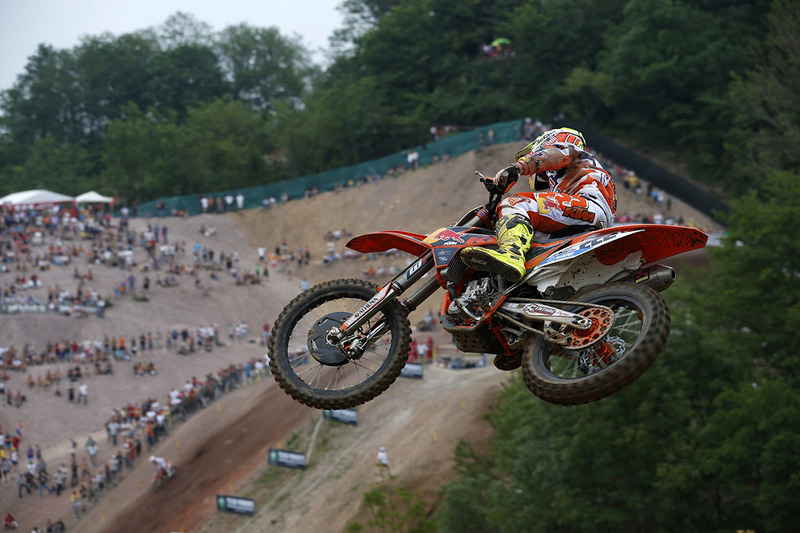 He won both motos to take his ninth GP win for the 2013 season and the twenty-fifth of his young career. 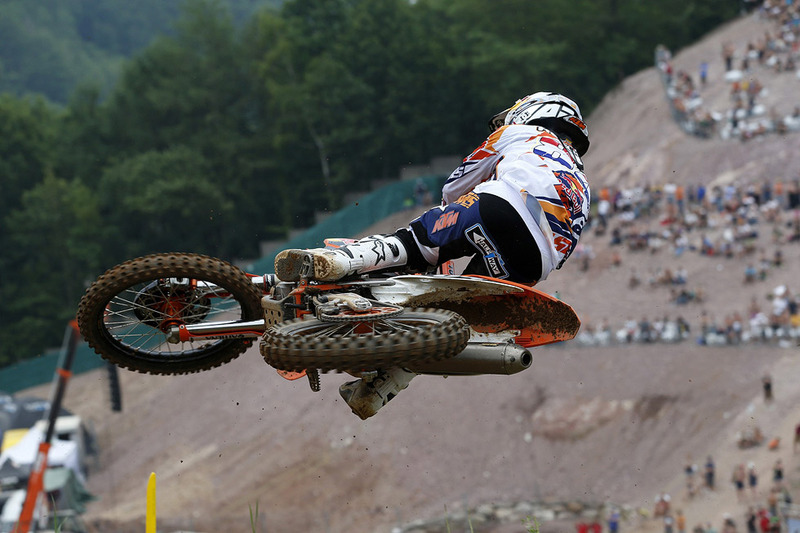 The Dutch teenager continues to heading for a firm place in the sport’s history books and has dropped only three points in the 2013 season. 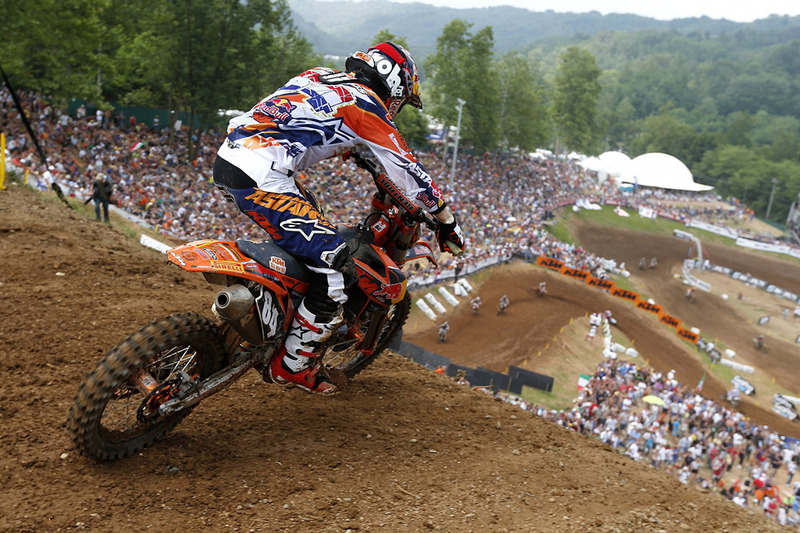 Yet another double moto win came as no particular surprise to his growing number of fans. 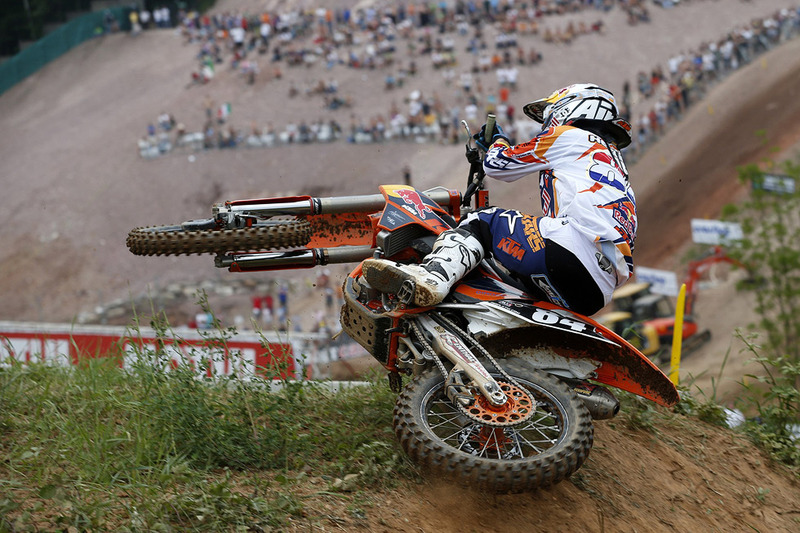 But Herlings had to work slightly harder for his wins this weekend, largely due to a pair of dogged rides by Russia’s Alex Tonkov who was first out of the gate in the opening moto and who held the lead for the first 18 minutes. 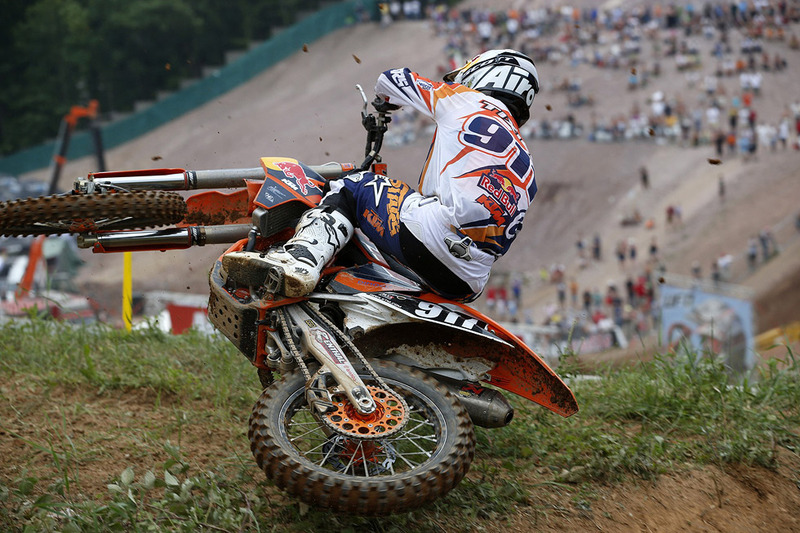 The Russian’s efforts eventually went unrewarded when he crashed just before the finish and while is bike slid across the line, he was deemed not to be on it at the time. Race officials subsequently took away his points. 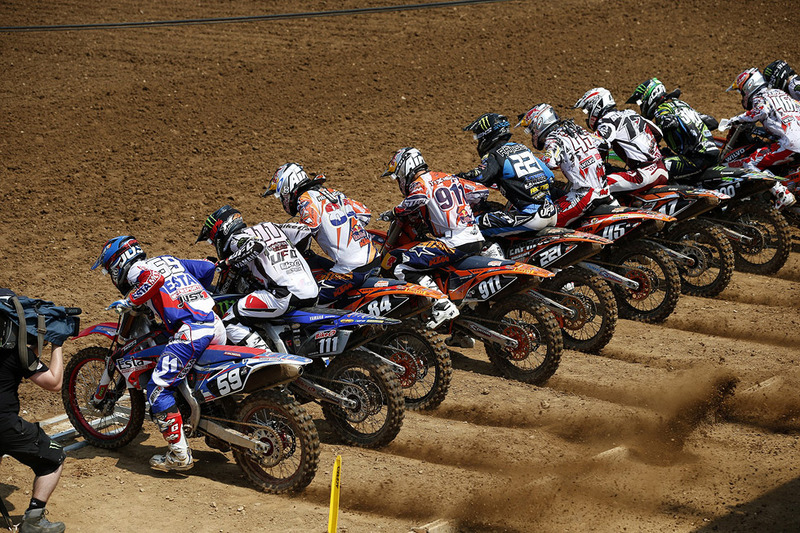 Tonkov challenged the dominance of Herlings again in the second moto but this time Jeffrey took the lead in the first phase of the race. 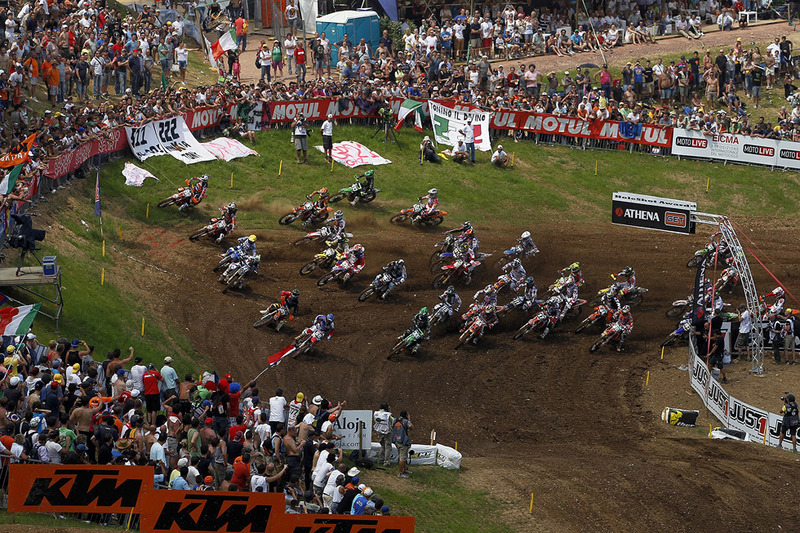 He eventually won the motos by margins of seven seconds and 4.4 seconds respectively on the remodeled northern Italian circuit. 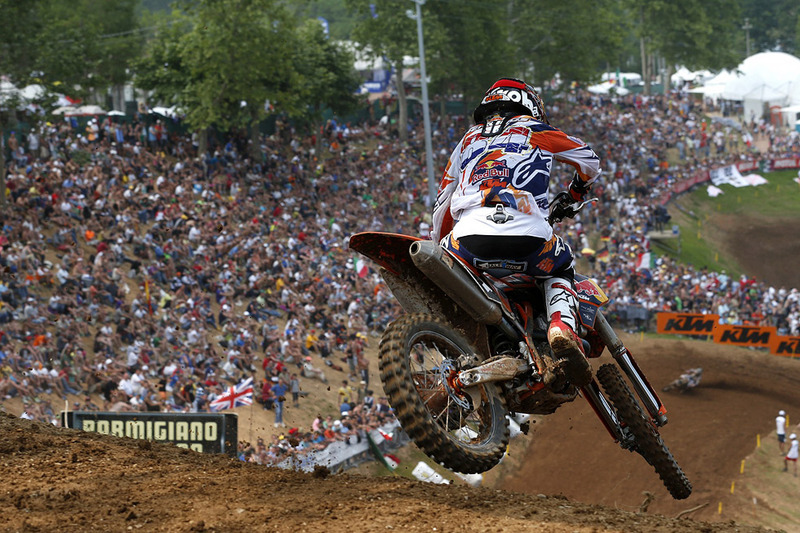 Herlings now has a massive points lead of 124 going into the second half of the season. MX2 Factory teammate Jordi Tixier picked up a couple of fourth places in the two motos over the track that is marked by impressive hills and deep ruts and was totally unforgiving for any rider who made a mistake. In the end he was narrowly deprived of third overall in the last lap when a late move by Italy’s Lupino spoiled his party. 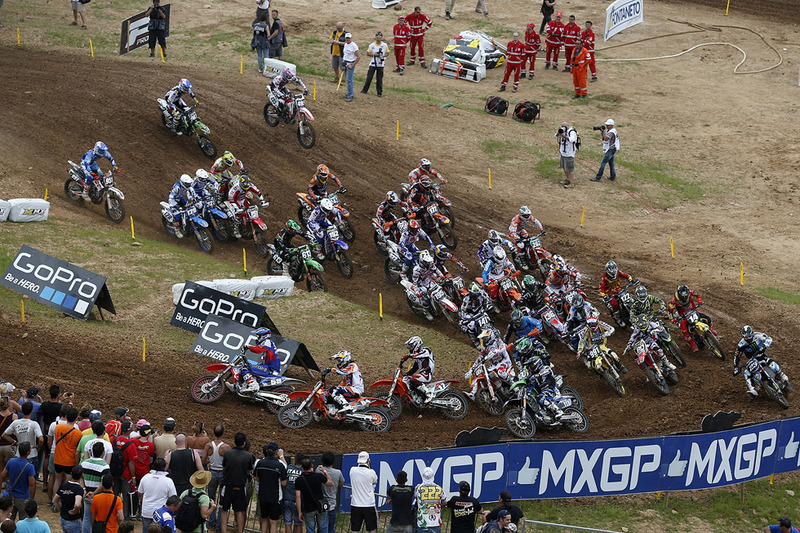 Tixier, who is still second in the championship points, said he was disappointed.